Spend RM200 (RM100 for Citibank cardmembers) in a single receipt. Excluding AEON, Cold Storage, Parkson and bill payment. 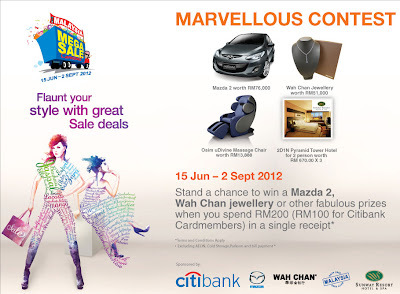 Visit Sunway Pyramid website for more details.